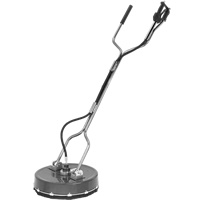 - To look at vacuuming surface cleaners, click here! Hammer Head by General Pump. 18" cleaning diameter. Grease fitting on swivel. To look at vacuuming surface cleaners, click here! ▪ To look at vacuuming surface cleaners, click here!